Puru is Managing Director of Corporate Relations, with direct responsibility for the Meridian Corporate Council and supporting private sector business development across Meridian. 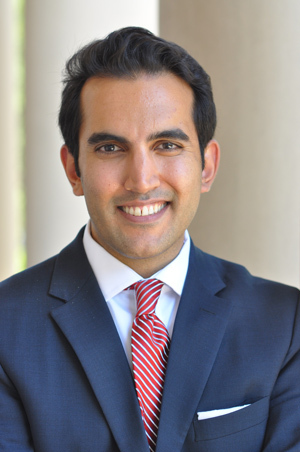 Prior to joining Meridian, Puru has worked across the financial services, policy advocacy and consulting industries. Most recently, Puru was an Associate Director, Services to Government for APCO Worldwide in New Delhi, as well as Deputy Director for the US Chamber of Commerce in India/US-India Business Council. At USIBC, Puru managed the policy advocacy efforts for 300 major US companies across industries, working to strengthen bilateral ties between both the US and India and helping push forward reforms which benefit US companies abroad. Prior to joining the USIBC, Puru worked with private equity secondary transactions in Boston with State Street Financial, Bank of America Private Bank, in Manhattan with Smith Barney Citigroup and Fimeris, a boutique PE firm in London. Puru is on the board of advisors for the Global Center for Public Policy (GCPP) in Cambridge Massachusetts, Cariluxe Inc. in Barbados, and Khoobh Design. He attended Boston University School of Management for a B.Sc in Finance, as well as Babson College Olin, Wellesley Massachusetts for his MBA. Originally from the Greater Boston Area, Puru has lived, worked and studied in Saudi Arabia, England, China and India.